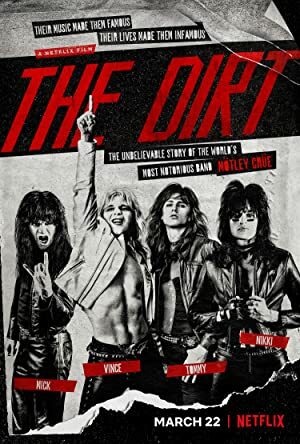 The Dirt (2019) – What's New on Netflix Canada Today! In this unflinching biopic based on Mötley Crüe’s best-selling book, four LA misfits navigate the monster highs and savage lows of music superstardom. The story of how Mötley Crüe came to be one of the most notorious rock ‘n roll groups in history.